Container with applicator, to put lip glosses and lipsticks. The most hygienic and practical way to take glosses. A miniature gloss dispenser, small enough for a clutch bag. 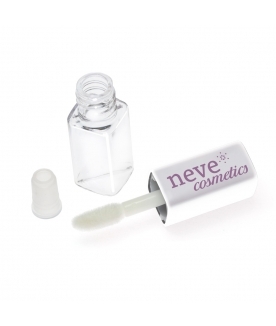 Transparent plastic jar, lip with sponge lip applicator, cap and anti-spill valve. Dimensions: total length of container with lid on 4,8 cm, capacity 2,5 ml.